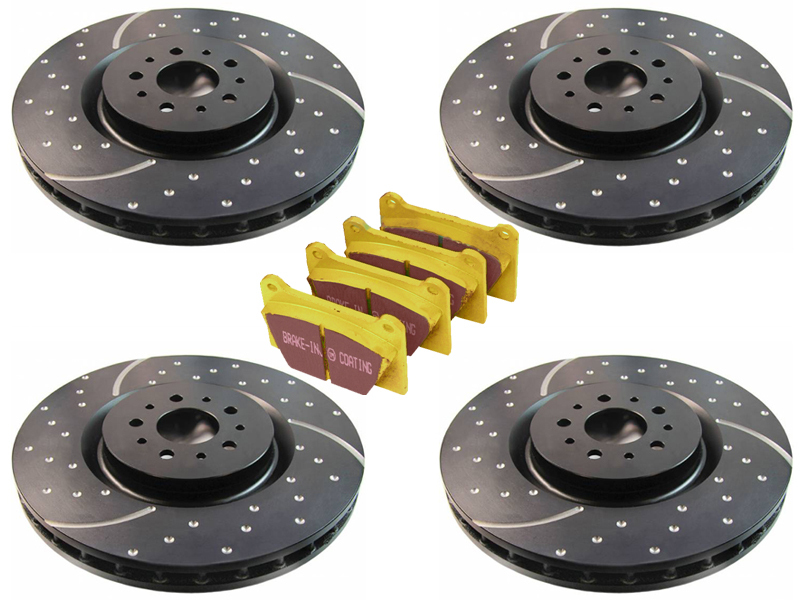 EBC's Stage 5 brake kit for the 2013+ Hyundai Veloster Turbo - includes full sets of 4 heavy-duty, high-gripping rotors along with track-tested & street-approved Yellowstuff pads. 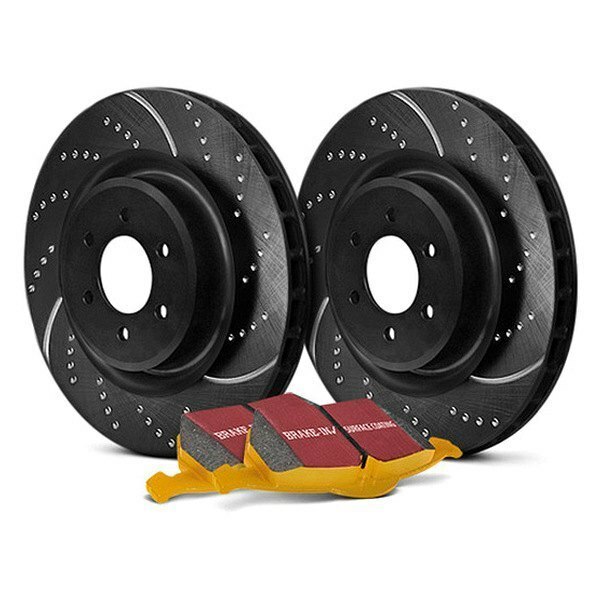 Not only does EBC feature a stylized appearance to their rotors, but this combo also backs it up with performance - you're sure to get smooth, consistent braking every time you hit the brake pedal. 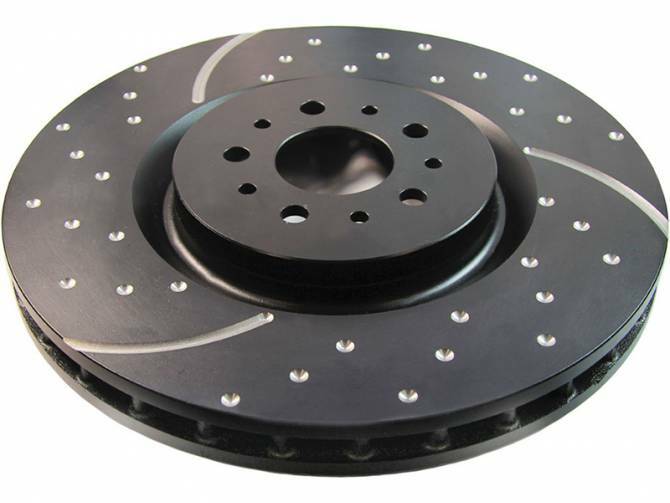 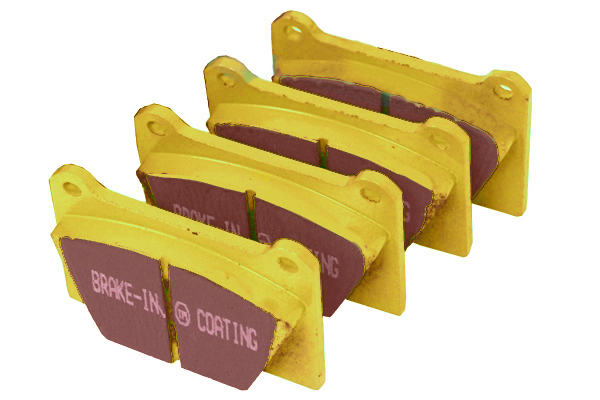 Please note the black anodized layer is designed to disappear in the area that the brake pads contact the rotor.